The link architecture/structure of a website is extremely important for the SEO because it affects the search engine crawling, the indexation and the PageRank distribution. Additionally the internal link structure affects the navigation, the user experience and the conversion rates. In this article we see 10 tips that can help you develop a better link architecture, improve your PageRank flow, your Indexation and boost the Rankings of your website. The optimal link structure for a website varies depending on the type, the size and the target of the website. Usually it is suggested to use a flat link hierarchy with a tree-like structure, nevertheless as we discussed in the previous article “Link Structure: Analyzing the most important methods” every method has its pros and cons. Additionally as we analyzed on the post “Multiple Domains vs Subdomains vs Folders in SEO” your decision on whether you will use Subdomains or subfolders for the main categories can heavily affect the SEO performance. So make sure you understand the effects of each method on your website and use the most appropriate architecture. By incorporating the targeted keywords in the anchor text of internal links, you can improve the rankings of your internal pages for those specific terms. Additionally by using multiple variations of the same keyword or phrase you can achieve better results for a wider range of terms and avoid spam & bans. Nevertheless have in mind that you should not overdo it because by having too many keywords in the anchor text, by using keyword stuffing techniques or by adding an excessive number of internal links you will not achieve better results. On the contrary you will probably fire up a Google Spam signal and you risk getting banned. Those of you who are fans of PageRank Sculpting should read the article “PageRank Sculpting: You can still use rel=nofollow” where we describe a very effective technique that allows you to drive the link juice to the pages of your choice without facing PageRank leaks. A good technique to improve the PageRank distribution and the indexation is by cross linking the important pages of your website, even if those belong to different levels or subtrees. This can be done by adding links inside the main text of the page or by showing recommendations to the users on a separate part. In this way the search engines are able to find easier the quality content of your website and the users will stay for longer on your website, you will increase your average pageviews and you will reduce your bounce rate. The Tree-like structures allows you to achieve good SEO results, nevertheless in large scale websites the most of the PageRank remains on the top levels of the tree (near homepage) while the lower level pages receive less link juice. In order to solve this problem, you can use an Overlapping Link Hierarchy or add direct links from your homepage or from high level pages to the most important internal pages of lower levels. By doing so, you increase the PageRank of your “best seller” pages without affecting the main structure of your website. Finally in case that an internal page is targeting on a very competitive keyword, you should probably start a link building campaign and add directly external links to this page. As we saw in the article “Why my SEO campaign failed? 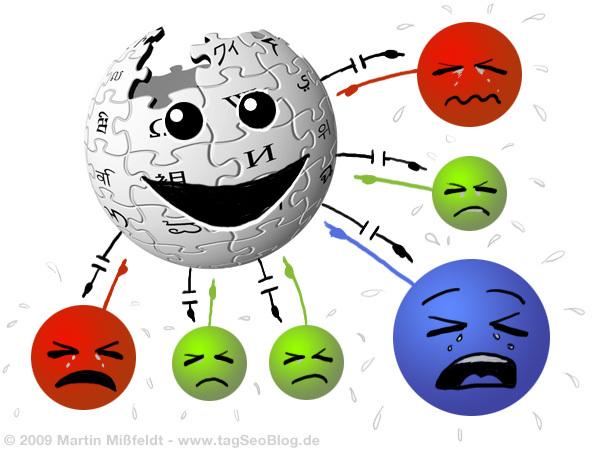 Part 3: Common Link Structure mistakes”, flowing PageRank on the wrong pages can lead to PageRank losses. If you have broken links, dangling links or lots of duplicate content in your website it is certain that you lose valuable link juice. 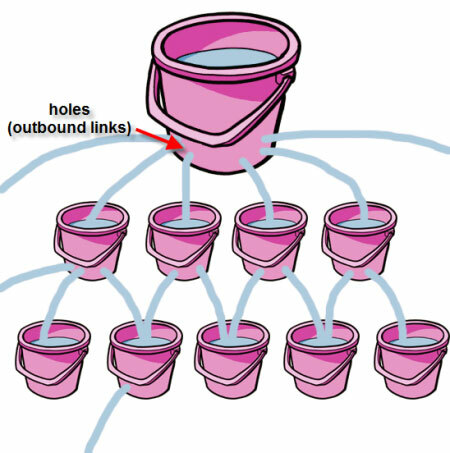 By improving your link structure, by removing deadlinks and dangling links (such as doc, ppt files etc) and by reducing the duplicate content you can increase the number of indexed pages, improve search engine crawling, reduce indexation time and achieve better rankings on the internal pages. A great tool that can help you optimize your internal link architecture is the Link Structure Tool. By using it you can analyze and optimize the link structure of your website, detect and eliminate the broken links, optimize the text that is used in the internal anchors, monitor PageRank flow and get valuable information on how to reorganize your internal link architecture. Google Webmaster Guidelines clearly suggest that you should “Keep the links on a given page to a reasonable number“. It is highly recommended to have less than 100 links per page in order to help users and search engines to focus on the most important pages and flow more link juice to them. Having lots of external links in your website drives most of your PageRank juice to external websites. This means that your internal pages receive less link juice and as a result, they have less probability of achieving high Rankings on SERPs. Thus you should try to keep the number of external links as low as possible. Also note that it is mathematically proven that by placing all the external links of your website in a single page, you reduce the amount of PageRank that is transferred from your site to external pages. As you know, 1 year ago, Google has changed the way that handles the rel=nofollow attribute (read the article “The PageRank sculpting techniques and the nofollow issue” for more info). As a result using this attribute leads to pagerank losses due to the fact that the amount of link juice that flows from nofollowed links is evaporated. This has an interesting implication on blogs, where most of the links in the comments are usually nofollowed. Does this means that a large amount of PageRank of Blog posts is evaporated? “Q: If I run a blog and add the nofollow attribute to links left by my commenters, doesn’t that mean less PageRank flows within my site? A good solution to eliminate the PageRank losses that come from using rel=nofollow is to use our Nofollow method. Note that this technique is heavily tested, it is very reliable and it is currently used by our Website. Google has made it clear in the past that they evaluate the editorial value of each link by using several signals such as the position in the page etc. Generally the links that are placed on footer flow less PageRank and have less value than the links that are placed on the top of the page. Thus it is highly recommended to have the important links of your site on the top of the page and to avoid using HTML templates/designs that have the main menu on the bottom of the page. If you follow the above tips, you can develop a better link structure, improve your SERP rankings, reduce the pagerank losses, eliminate duplicate content and increase the user experience. Note that you must monitor closely and reevaluate a your link structure if you regularly add lots of new pages, you should check the SEO results after every modification and you should study your web analytics reports to find your “best seller” pages and evaluate the visitor path patterns.